Indet. Regular leaf. 85 days. 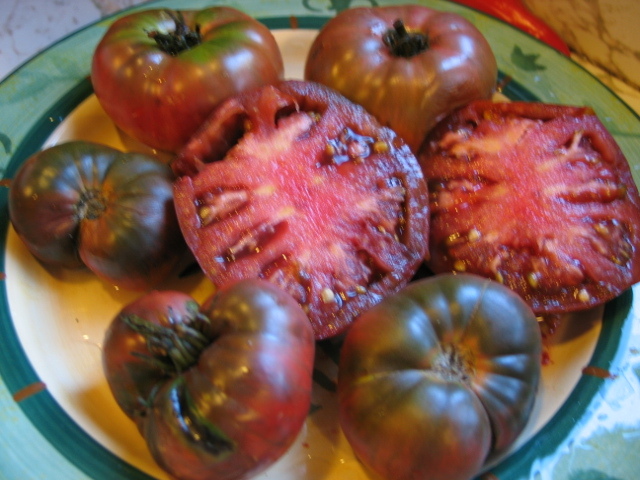 We are very excited to offer this old heirloom from Cartersville Kentucky. There are so very many fantastic old heirlooms from this beautiful state. These eye-grabbing ten to eighteen ounce tomatoes have everything going for them. Exteriors are a lustrous, deep, cocoa-ruby red with deep sea green shoulders. Interior flesh has rings of purple with splashes of magenta. Flavor is sweet and rich. Limited quantities. Order early!